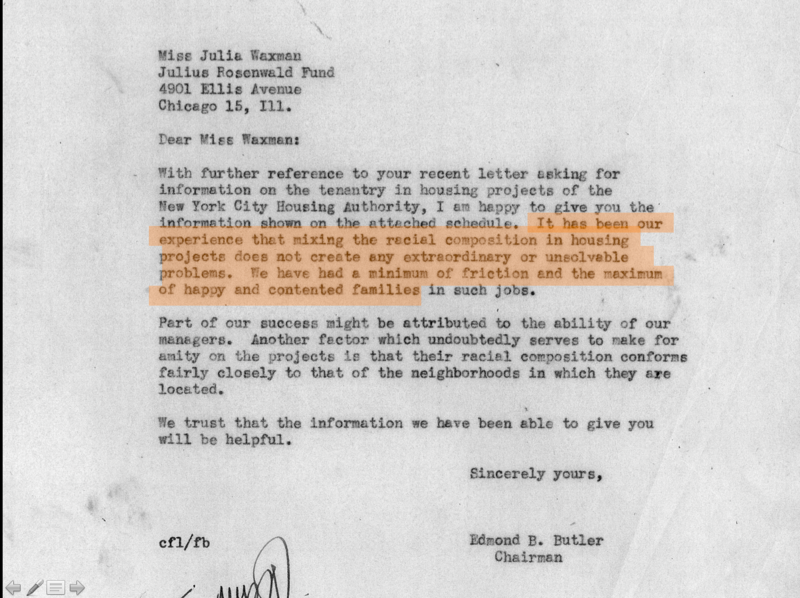 In the 1940s and 50s, the New York City Housing Authority (NYCHA) intentionally integrated public housing projects. They did it quietly in order to avoid opposition. 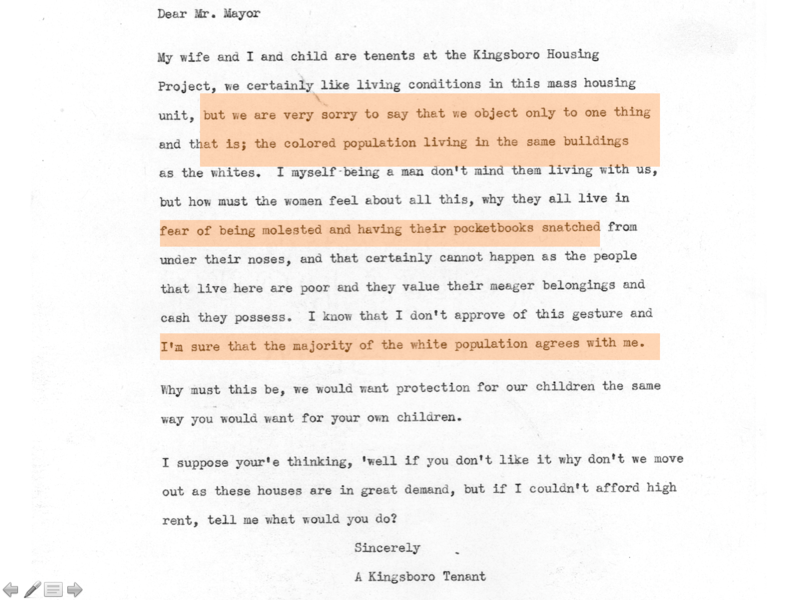 Nicholas Dagen Bloom has written about this in Public Housing that Worked. 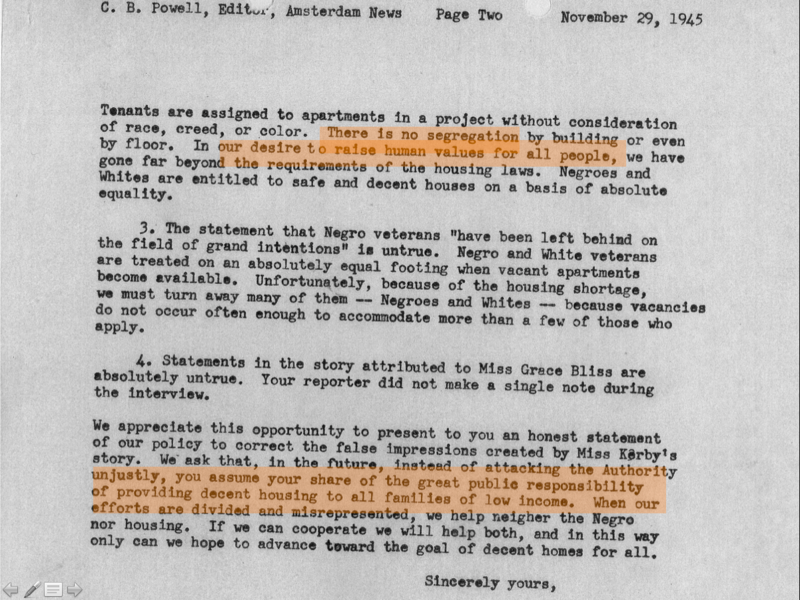 I’d like to write an article about the people behind these efforts — and the documents I found in the NYCHA archives at LaGuardia, but meanwhile, here are a few items (above). 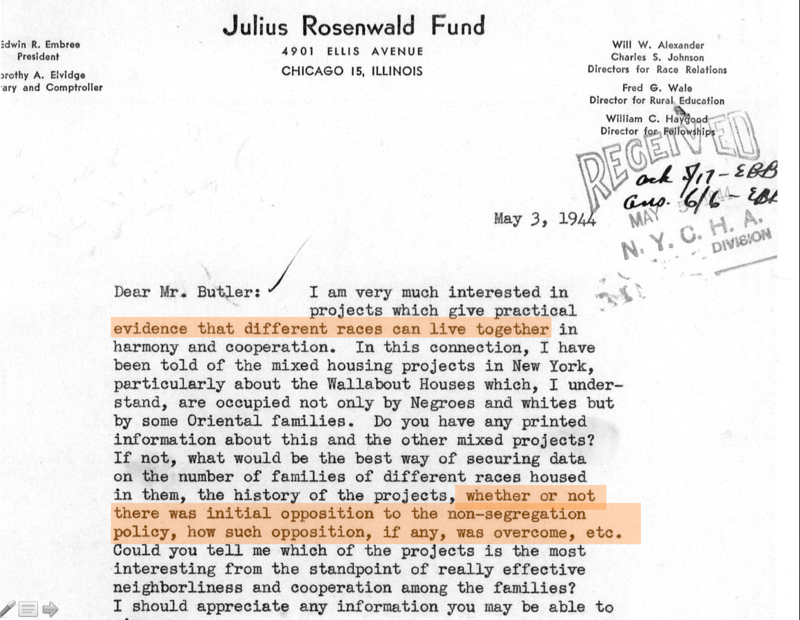 01-Julia Waxman (Julius Rosenwald Fund) letter to NYCHA. How have you succeeded in integrating public housing? 05-F.M. 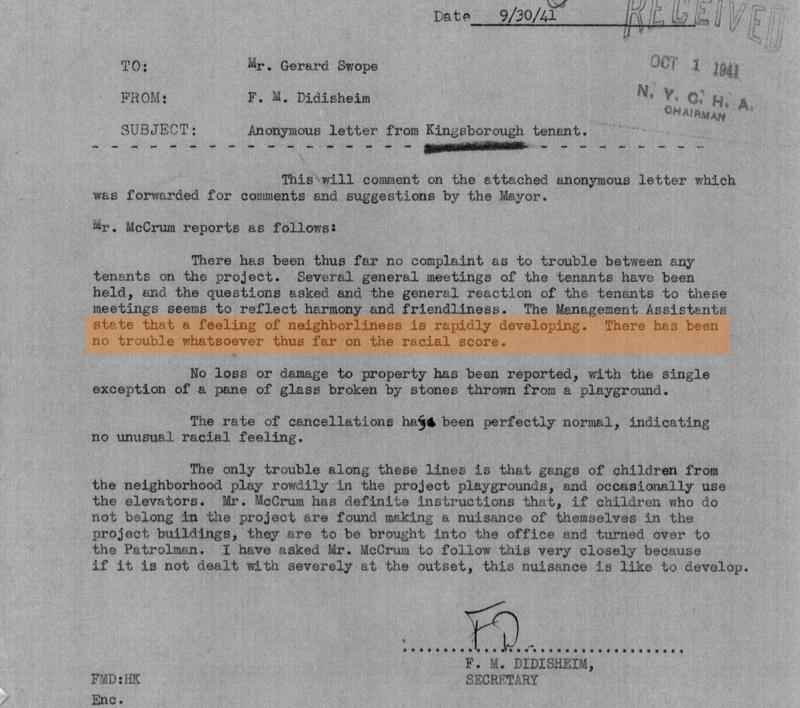 Didisheim of NYCHA responds to Mayor LaGuardia explaining that there has been no trouble whatsoever thus far on the racial score. 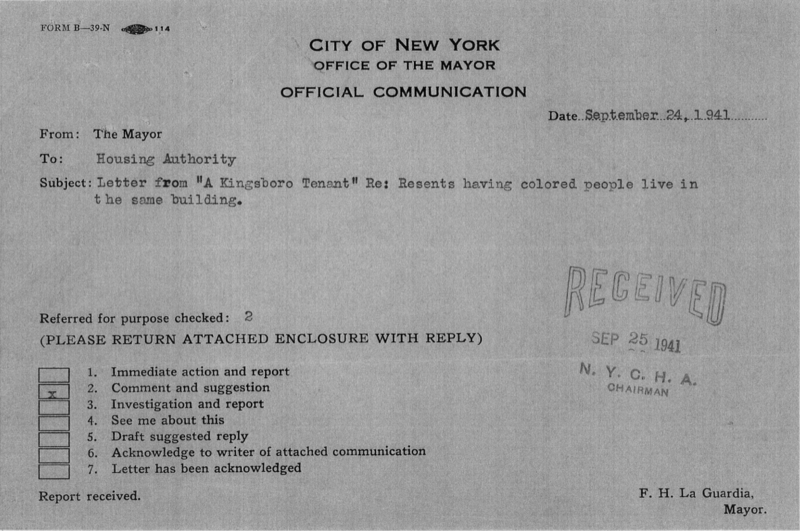 06-In 1945, NYCHA responds to a NY Amsterdam News article accusing NYCHA of racial segregation. There is no segregation by building or by floor, NYCHA says. 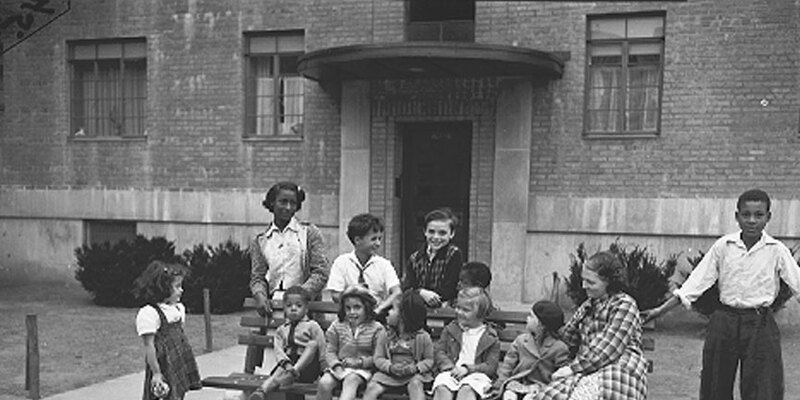 Community organizer Elsie Richardson talks about living in integrated public housing (Albany Houses) in the 1950s in this video (@ 4:30). Also see Selena Blake’s terrific documentary, Queensbridge, The Other Side. The top photo comes from the NYCHA Photo collection at the LaGuardia-Wagner archives.